Edited by Prix Fernand Baudin. 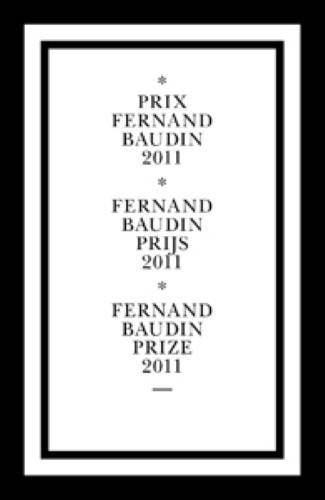 Prix Fernand Baudin, 2012. 280 pp., color and black & white illustrations, 4¾x7". 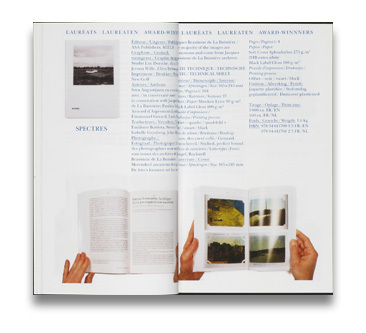 The catalogue for the prize for the most beautiful books in Brussels and Wallonia, this book documents the international jury debates, thoughtful texts and in-depth conversations that culminated in the decision for 2011. In other words, it allows complete transparency regarding the decision-making process. The Fernand Baudin Prize honours and encourages contemporary book production in Belgium, and the competition gives special recognition to books which demonstrate an outstanding quality both in conception (editorial and graphic) and production (printing and binding).